A Gurn from Nurn: 50% funding cut for Nairn Community and Arts Centre coming down the tracks over the next few years? 50% funding cut for Nairn Community and Arts Centre coming down the tracks over the next few years? Here on the Gurn we published a couple of posts earlier this week about some of the potential impacts from the outcome of the Highland Council’s austerity budget survey consultation. These impacts will be massive. 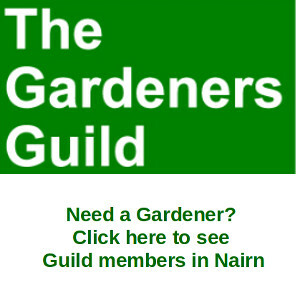 Previous Gurn posts on potential car parking charges in Nairn here and what might happen to public toilets here plus cuts to flower beds etc, here. It has also emerged that there is a major threat to funding of our Community and Arts Centre coming down the tracks and this became very clear last night at the regular meeting of River Community Council in the URC hall. You can access the Highland Council Survey here. Liz also said at the meting the leas for the car park at the back of the library has just one year to run before coming up for renewal. Don't you think we should think about the other 62 million that they will need to find after they have taken the 2 mill from leisure and libraries and smaller things. Where are they going to make the savings, cut the big ones salaries, I don't think so. They are delfecting peoples views away from the bigger picture by making a big statement to attract attension. We keep hearing about money in the Nairn Common Good fund - can some of this not be used to take over services such as landscaping, toilets, and providing a grant for the community centre? Perhaps we'll need a single community council to administrate that fund, first? told you so... What would the 44.7% have Alex Salmond do? pick ten pound notes off his money tree and make it all better, I don't think so! Why cant all the top people in power just tell Cameron there is no more to cut, i will tell you why-it doesnt affect them the least little bit just us at the bottom of the pile. Tough times ahead for Nairn and all of Highland Council Areas. Council need to cut to the chase and ditch their policy of no compulsory redundancies. Time to get rid of all none jobs at middle and senior management. Front line services have been hit hard over the past few years and cannot be subject to any further reduction. Anonymous at 4.58pm makes a very valid point. The existing policy of no compulsory redundancies while cutting back on almost all Council functions and services leads to absurdity and inefficiency. The Council will be delivering reduced services, without reducing staff (other than by "natural wastage" eg retirements). In other words, keeping and paying the salaries and pensions of roughly the same number of people, while having them doing less and less. As a famous tennis player once (almost) said, "They CANNOT be serious!" @Brian Turner and @Anonymous of 3.20pm. The problem with the Nairn Common Good Fund is that it is "asset-rich but cash-poor". It owns lots of land - not just the Links and Sandown, but the land on which the caravan park operates, other property around Fishertown, and indeed possibly also the land of the Dunbar Golf Club. But it generates very little ongoing income in terms of rents or profits from this which might be used to pay for other things. In some cases (eg amenities on the Links) charges are rightly low because the users are the local community. But in other instances, much income has been lost either because of inadequate management by the Council (eg the Parkdean contract, and the fiasco over costs and compensation in respect of Sandown), or because the local authority foolishly agreed that the Common Good Fund should bear huge costs without ensuring sufficient revenue to cover them (eg the fishing-rights and levy problem). The comparison with Inverness is embarrassing. The Inverness CG has huge capital investments which produce a stream of dividend-income, and massive rent revenue from the businesses on the Longman Estate (a CG asset). These millions in ongoing income provide funds for a great many other activities and amenities in Inverness. The difference? 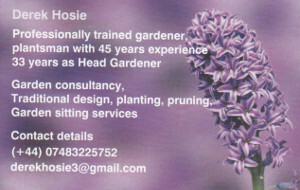 The Inverness CG is run and managed by a local Inverness city committee (a sub-committee of the Highland Council). 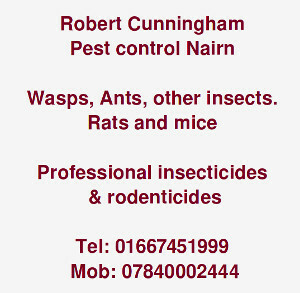 Nairn's Common Good is run by...... well, can someone tell us? But it sure ain't local! The scottish government are in charge of spending. They chose to spend it on free prescriptions and freezing council tax even for those who can afford it. Am left scratching my head as to how this amounts to "saving money". Wowee they have taken the postbox from the corner of Boathpark--that will save them what--about £1-50 a year--a few more boxes to go i think to square up this austerity crap. Put my Council Tax up by the equivalent of £365 per head please. £1 per day. Do the same for another 175,342 Highland Council residents. Let the other 57,608 (25%) on the lowest incomes pay NO extra. £64m funding gap sorted.